Nova Sintra, a community of seven "praças" or squares because of the hilly terrain. 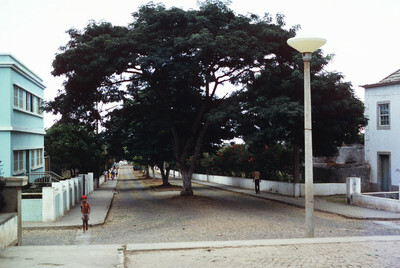 Here a cobblestone street is divided and shaded by large trees. The sides of the roads are lined with Hibiscus trees.